Your child needs help in French? A certified tutor can help! Mastering the language of Molière is possible! 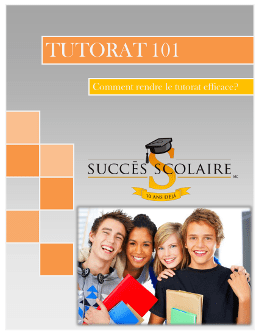 Why choose a French tutor from School Success? Our experienced advisors take the time to match a tutor to your child's personality and the difficulties they are experiencing. Past participles, homophones, punctuation and syntax... let's just say, French grammar holds no secrets to the specialized tutors at School Success. A tutor will provide your child with specialized support, whether it be for a specific issue, for helping them catch-up when they've fallen behind, for homework help, or to provide further advancement. They will also suggested work methods and learning strategies that will allow them to become more efficient. School Success has helped over 30 000 students since 2006. 92% improved their grades and 93% noticed an improvement in their motivation for school.